Create wild animal masks and make your own zoo with Roylco's Animal Face Forms! 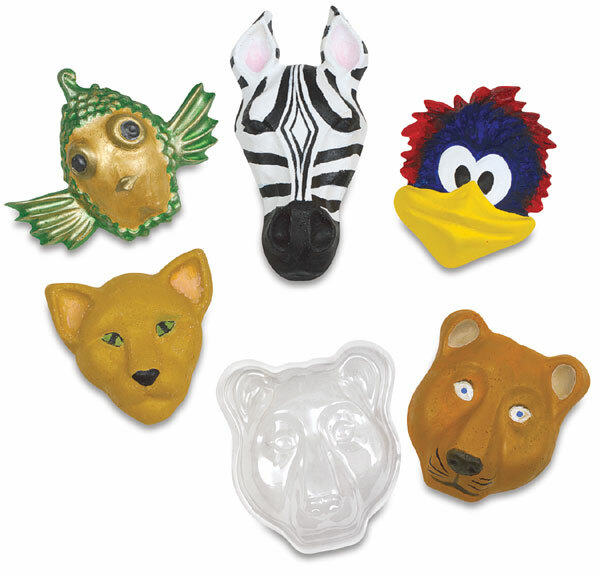 Each see-through plastic face form is reusable and great for papier maché or clay. Fill them with plaster to create an animal plaque for your wall. Decorate each creation to create a one-of-a-kind critter. Each package contains five forms, one of each animal. The inside width of each form ranges from 6 to 7 inches (about 15 to 18 cm), making them child-sized.